I’ve been unable to read through an entire news story about the recent congressional battle over the fate of the Bush tax cuts for the wealthy. I become so incensed towards the Republican Party that I lose control of myself. It strikes me as a cosmic injustice that a party that shows such naked greed and disregard for the unfortunate swept the 2010 elections. How could a party that won by promising to reduce the deficit now insist on continuing tax cuts that will add something like a trillion dollars to our debt in the next decade? The fact that they earned the goodwill of voters makes me lose faith in the judgment of the American people. The reptilian core of my brain tells me that Obama should let them block extensions of unemployment benefits and of the middle- and lower-class portions of the Bush tax cuts. The legislative stalemate would humiliate them by exposing the lengths they are willing to go to protect their millionaire constituents. 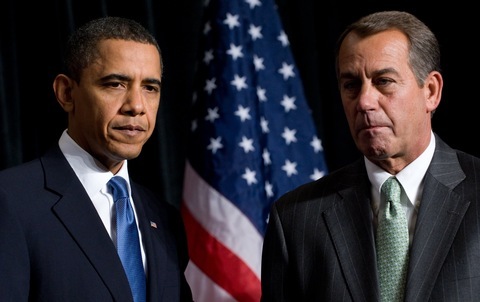 Poll numbers for Republican members of Congress would drop, and Obama’s numbers would rise, putting Democrats in a good position for the 2012 elections. Finally, I would enjoy reading and talking about politics again. Justice would be restored to the universe. The mammalian outer layer of my brain, however, gently reminds me that millions of Americans are jobless and suffering. It’s important to remember that casting the Republicans in a negative light is not the first priority of the Democratic Party, although it seems to be in this rancorous age. Instead, the Democrats were elected on a promise to work to end the recession, and, in the meantime, to lessen the hardship it causes. If they played a game of chicken with the Republicans on the issue of the Bush tax cuts, they might win the hearts of the American people, but they would lose sight of their real goals – to help the needy and to jump-start the economy. Instead of being a moment of disgrace for Obama, this compromise represents a fulfillment of his 2008 campaign promise to rise above the bickering of party politics. It’s painful for a left-winger like me to watch Congress extend tax cuts for the wealthiest two percent of a society that already suffers from a shamefully lopsided distribution of wealth, and already has way too much debt. But if that is what Democrats must accept to keep Republicans from blocking unemployment benefits, so be it. 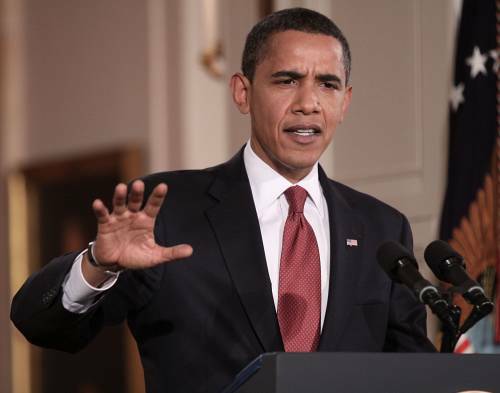 President Obama announced yesterday that he had worked out a deal with Republican leaders in Congress on taxes and unemployment compensation. The deal would extend all of the Bush-era income tax rates for two years, provide extended unemployment compensation for another 13 months, and reduce payroll taxes for a year, among other components. The Bush-era tax cuts expire on December 31, so the deal needs to make it through Congress promptly. There is some question about whether the “grand compromise” will be sufficiently well received — particularly among President Obama’s liberal base — to be passed in the lame duck Congress. The concept of extending “tax cuts for the rich” is anathema to them, and they feel like President Obama weakly gave up far more to Republicans than he got in return. It would not be at all surprising if there were many Democratic defections when votes are taken on the legislation needed to implement the proposed deal. I know that Richard, for one, is so infuriated by the concept of extending the current tax rates for individuals earning more than $250,000 that he didn’t even want to talk about it at the dinner table last night. I’m confident that many liberal Democrats share his disgust — and, more and more, the disgust is directed at the President. If the deal does pass, we will see a significantly different political dynamic in 2011 than existed in 2010. Not only will conservative Republicans control the House of Representatives, liberal Democrats will be increasingly likely to criticize President Obama as a sell-out who cannot play hardball with Republicans. Back in the late sixties and early seventies there was a television show called Rowan and Martin’s Laugh In. 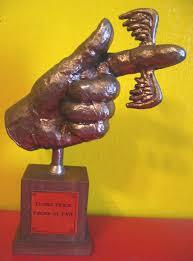 During the show they would often give the award shown above, the Fickle Finger of Fate award to some government entity or some famous person based on their dubious achievements. Anyone who reads our blog with any regularity knows that one of Bob’s biggest concerns is the deficit and government spending. Keeping this in mind President Obama is in agreement with Bob on this issue and has appointed a Deficit Commission. The commission is to report its findings to the president on or before December 1. With December 1 rapidly approaching I have already decided that the Fickle Finger of Fate award goes to …….. both Alan Simpson, former Republican Senator from Wyoming and Erskine Bowles, Chief of Staff to former President Clinton. In case anyone doesn’t know these two gentleman are leading the commission charged with identifying policies to improve the United States fiscal situation in the medium term and to achieve financial sustainability in the long term. Earlier this week a poll was done asking Americans their opinions of some of the ideas that have been floated by the two gentlemen. First of all, only 25% of respondents thought the commission was a good idea and forty percent thought it was a bad idea, not a good sign. Two thirds of respondents said that they wanted government spending cuts made though and said that was the major reason why they voted the way they did. and 60% were uncomfortable raising the retirement age to 69 from 67 over the next sixty years. Well there you go, we want spending to be cut, but we don’t want any of the programs that are causing our debt problem to be cut. Oh and by the way 50% of respondents want the Bush tax cuts for the wealthy to expire. If that’s the case then on January 1 more of Bob’s hard earned money will be going to help the government reduce the deficit, I hope ! One issue to be addressed in the upcoming “lame duck” Congress is whether the Bush-era tax cuts should be extended. Republicans say that the current tax rates should be extended because it makes no sense to raise taxes during a recession. The position of many, but not all, Democrats is that some of the tax cuts should be extended, but the tax cuts on Americans who earn the most income should expire — thereby increasing their taxes. So much of the political discussion in Washington, D.C. is vacuous jousting about language! In this case, is the extension of tax rates that are about to expire a “tax cut,” or is allowing those rates to expire a “tax increase”? (I think most Americans would conclude, reasonably, that if tax rates should go from 35% on December 31, 2010 to 39% on January 1, 2011, a “tax increase” has occurred.) 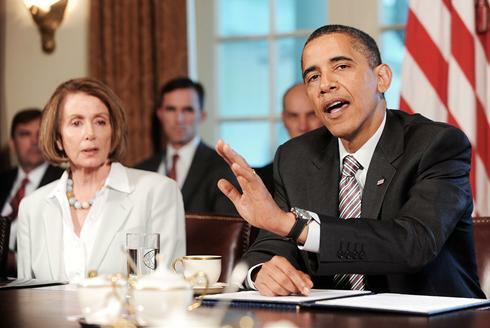 Even more exasperating are the arguments by President Obama and House Speaker Nancy Pelosi, among others, that if an across-the-board extension occurs, the federal government would have to “borrow” money to “pay” for “tax cuts” for those Americans who earn the most. It is worth deconstructing such statements, because they reveal a lot about the attitude of many leading Democrats. In effect, they believe that the federal government is entitled to the money earned by every taxpayer. If the government decides to let us keep some of it we should be grateful, because the government has to “pay” for that generosity. In my view, this infuriating sense of entitlement is one reason that voters voted against so many Democratic candidates earlier this month. If the government believes that it has a right to every penny we earn, it will never learn to live within its means — and that is what voters want. If our government cannot get by on tax receipts that already exceed $2 trillion, the problem is spending, not taxes. Beginning on January 1, 2011, the tax cuts enacted under President Bush will expire and significant tax increases — affecting Americans of different income brackets and many American businesses, and involving income taxes, estate taxes, capital gains taxes, and other forms of federal taxes — will automatically take effect as a result. The Springfield News-Sun has published a helpful chart showing the changes in income tax rates that will occur if the Bush tax cuts are not extended. Now Republicans and some Democrats are raising questions about whether raising taxes in the midst of a recession makes much sense. The Obama Administration, through Treasury Secretary Timothy Geithner, says the tax cuts on the highest-income Americans should be allowed to expire, and they should pay an even larger portion of their income to the federal government. As the Springfield News-Sun chart indicates, higher earning Americans already pay a significantly higher percentage in income taxes to the federal government. Treasury Secretary Geithner refers to the higher-income earners as “the most fortunate” — as if the income they earn was the result of dumb luck, rather than hard work, opening their own businesses, developing a successful new product, intelligent investment risk-taking, or other activities that are rewarded in a capitalist economy. That sort of bureaucratic attitude is infuriating, but typical. If you’ve never held a job in the private sector where your hard work is rewarded, you tend to think that being successful in business is the result of happenstance as opposed to thoughtful effort. That same attitude underlies the notion that, if the tax cuts expire, the highest-earning Americans will heedlessly continue to act as they have before and just pay more in taxes — as opposed to modifying their behavior in recognition of the fact that their hard work will put less money in their pocket. In reality, of course, individuals and businesses do modify their behavior in response to tax rates. That is why so many Members of Congress, and Fed Chairman Ben Bernanke, think that extending the Bush tax cuts would be helpful for our struggling economy, and that ending those tax cuts could potentially shove the economy into a deeper recession. Americans will have less to spend, and therefore the consumer spending that is one of the foundations of our economy will be weaker. Businesses, too, may stay their hand on hiring or other activities because the tax burden is too great. The battle over how to deal with the expiring tax cuts will be interesting, because it will play directly into the standard themes of the parties, with the Democrats saying that the Republican Party is interested only in business and the wealthiest Americans and Republicans saying that the Democratic Party is interested only in economic redistribution. In the meantime, Americans will again be caught in the middle, wondering whether they should expect a significantly higher tax bill come January — and how they should plan their affairs given the continuing uncertainty.